Discussion in 'iPhone and iPad Games' started by zen_mode, Dec 17, 2015. 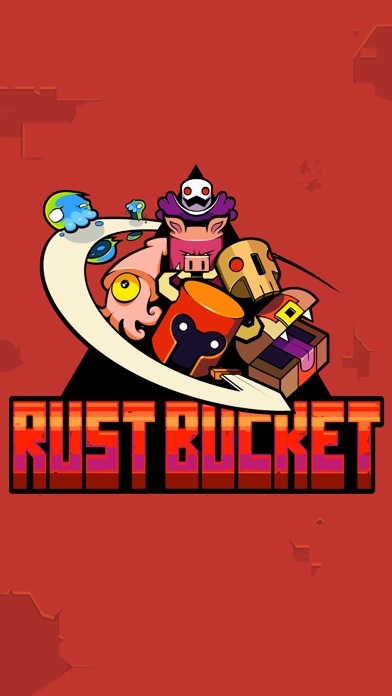 Rust Bucket is a turn based dungeon crawler that is built with mobile in mind. Swipe to take a step, swipe into enemies to attack. Its as simple as that, but dont be fooled into thinking this is a casual game!  Navigate using simple swipe to move controls. 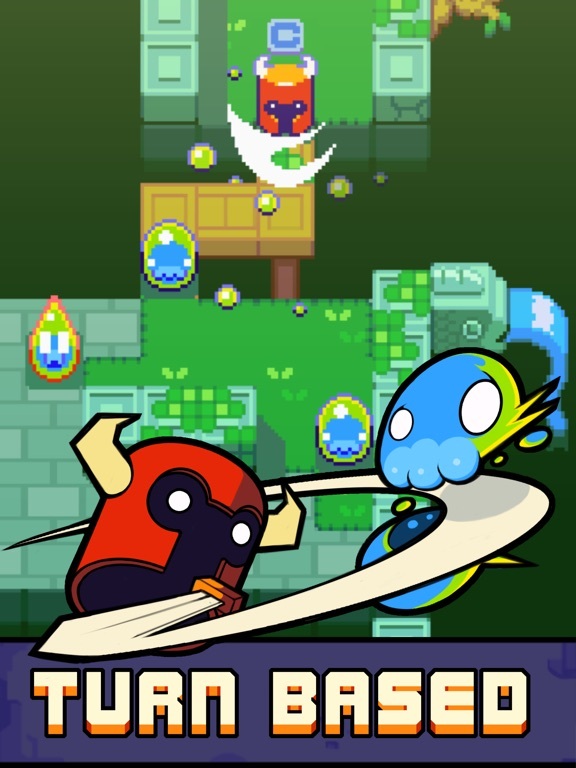  Puzzle your way past deadly traps or use them to catch enemies.  Many monster types, each with their own distinctive rules to overcome.  Explore an endless dungeon, with more to discover the deeper you go.  Become a master of strategic combat and reach the top scoring dungeon rooms. ...This is just the beginning! 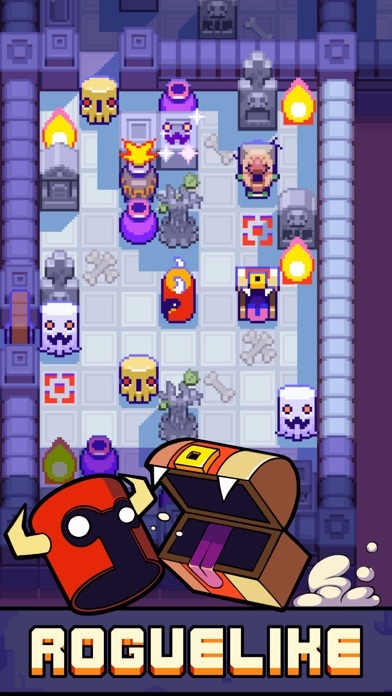 Rust Bucket is a turn based dungeon crawler that is built with mobile in mind. Swipe to take a step, swipe into enemies to attack. It’s as simple as that, but don’t be fooled into thinking this is a casual game! • Navigate using simple swipe to move controls. • Game play is fast and death is never far away so it’s perfect for your daily commute. 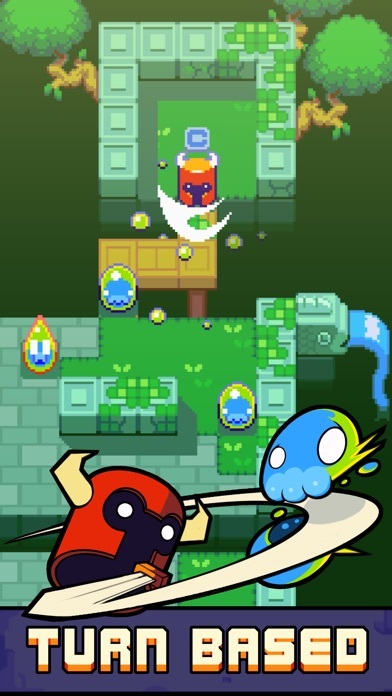 • Puzzle your way past deadly traps or use them to catch enemies. • Many monster types, each with their own distinctive rules to overcome. • Make your way through the levels to become a fully qualified looter • Explore an endless dungeon, with more to discover the deeper you go. • Become a master of strategic combat and reach the top scoring dungeon rooms. • Compete against your friends high scores on Game Centre Important information! This game is funded by adverts but is completely free to play with no timers or boosters to ruin your experience. There is an option to remove popup ads for a one off In app purchase. *Please note that this does not remove Cross Promotion ads for other Nitrome games* We hope you enjoy our little game. If you do please consider giving us a nice review, tell your friends and maybe try some of our other games. I put a lot of time into Ending. Beautifully balanced but the 1 hit point system made it a difficult game. Can't wait to get into this one. 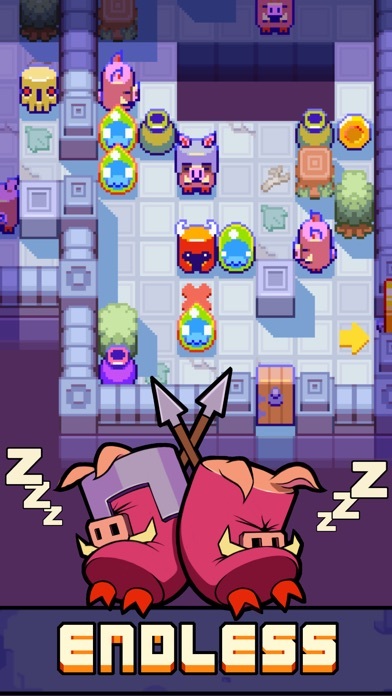 I am downloading this because i love Nitrome. But really, it's been difficult to like a roguelike since i got my hands on Sproggiwood. Hopefully Rust Bucket plays really well as the visuals already look really good based on the screenies. Have been playing for a little bit and can confirm, it is good. One thing I noticed, you hold down the direction after you swipe and will continue in that direction. Helps with the swiping fatigue abit. Yes, I made it to Level 10. This game is really good. It's similar to Ending, so there is no wait button to pause a move. And they added some sokoban puzzles. The ads are kind of annoying, IAP to get rid of them is 3.99. Oh sweet victory. Been waiting and anticipating this for a short while. Looks brilliant. I've been waiting for this one. 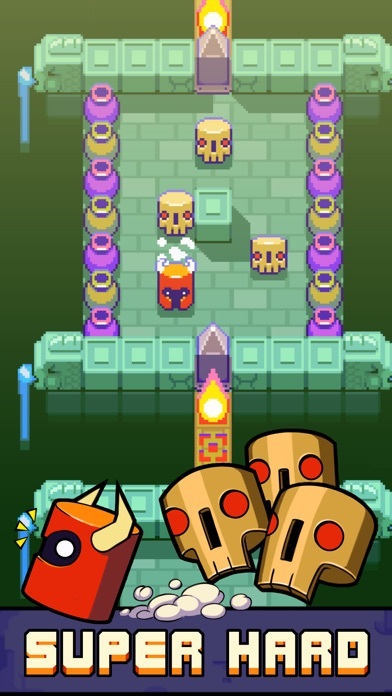 I love Nitrome's graphical style. It's pretty good so far. It's very simple roguelike gameplay. It's really interesting planning the attacks on the variety of enemy types. But I wish there were some upgrades going from room to room. Seems a little too simplistic. Though it's certainly not easy! It was a relief to finish the 10 training levels. They have excellent puzzle design, but damn, I was pulling my hair out at certain portions. And like clockwork, you'll get a few people later in this thread complaining that it needs to be updated with a wait button and that the game has "horrible design" without it. Happens every time an RL is released without a wait button. To preempt: This game would be piss easy and not recommended for anyone over 9 years old if it had that coveted button. I was afraid Nitrome lost their mojo after Beneath the Lighthouse and Gopogo. This one is great though. It was being advertised as a dungeon crawler and a roguelike, but it's a clever puzzle game. Haha, let them complain. But it's true, with that button it would be too easy. It was being advertised as a dungeon crawler and a roguelike, but it's a clever puzzle game. Can we call it a Rogue-puzzler? Horrible design. Why the hell did they not include a Wait button!? Refund requested citing glitches and boycotting this company, the planet and disco music. Then slowly returns to normal. Err.. that's just tutorial. The main game mode is infinite. The main game mode should actually be the levels, which are yet to come. I think Nitrome were just in a hurry to release this before the end of the year, but what's already here is beyond superb already. 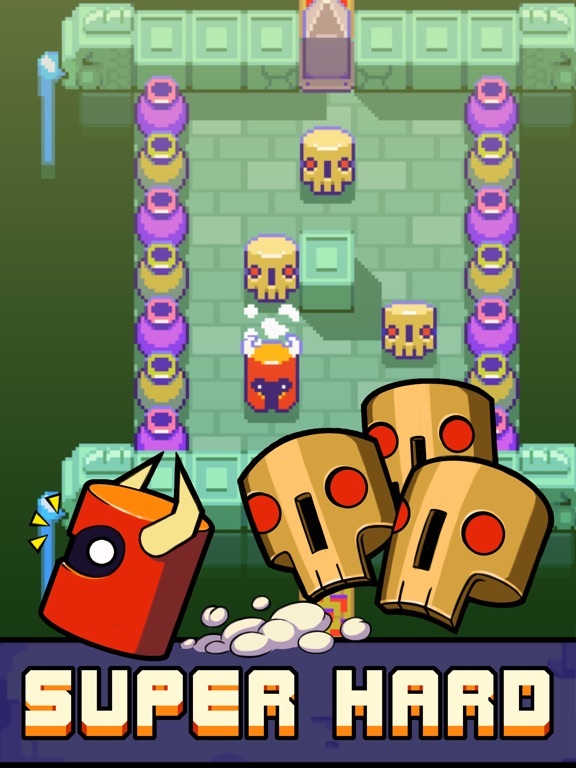 I cannot wait for the level update, and quite frankly Nitrome have an amazing track record already, so it will definitely be coming. Why do so many games use the term roguelike...do people even understand what rogue is? Sigh. I am constantly being disappointed with all these games labeled as rogue and yet being nothing of the sort. Aaron Steed is pretty well respected in the roguelike community. 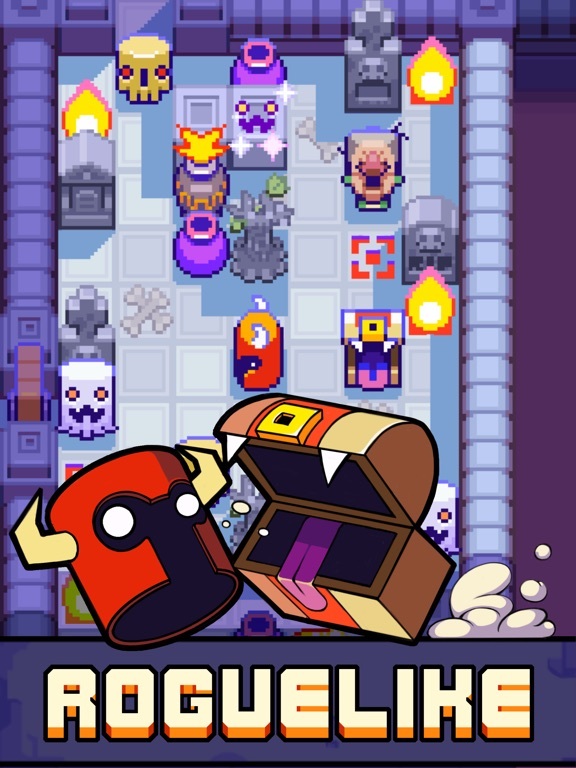 He has had regular appearances on roguelike radio and the host of that program, someone that's very active in the community, had at one point referred to Ending (the game this builds upon) as one of the best roguelikes on mobile. The truth is people know this is more a puzzle game than roguelike, but a lot of the elements are there, and frankly nobody really cares about this debate anymore, even the core community has moved on, especially in the context of mobile. The important highlighted playfield (going over into a light- then dark-grey bar). You'll have to outwit those persistent chasers either by destroying with a bomb, or lead them outside the highlighted playfield. Now they're out of play. Be careful though, because if you move to close to them again (highlighted area), they'll get activated again. Oh, and don't destroy all of the vases or bombs too early, you'll need them! After the longest, and one of the greatest tutorial i've ever played, i'm very happy to see new enemies in the endless mode. Every move counts if it gets crowded. Reaching level 8 is quite a huge challenge. 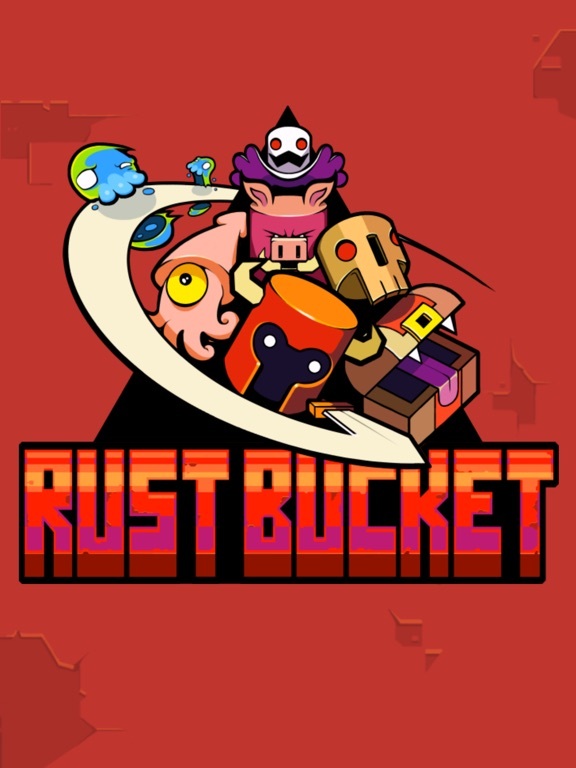 Being no turn-based fan, this stripped down rogue puzzler version (Nitrome is a beast achieving this in many games) is highly enjoyable for me. It has my appreciated one-more-go urge totally covered. And if we'll even see some added levels in the next update (in the tutorial's vain), then WOW...it'll double the worth of my already spent four bucks. 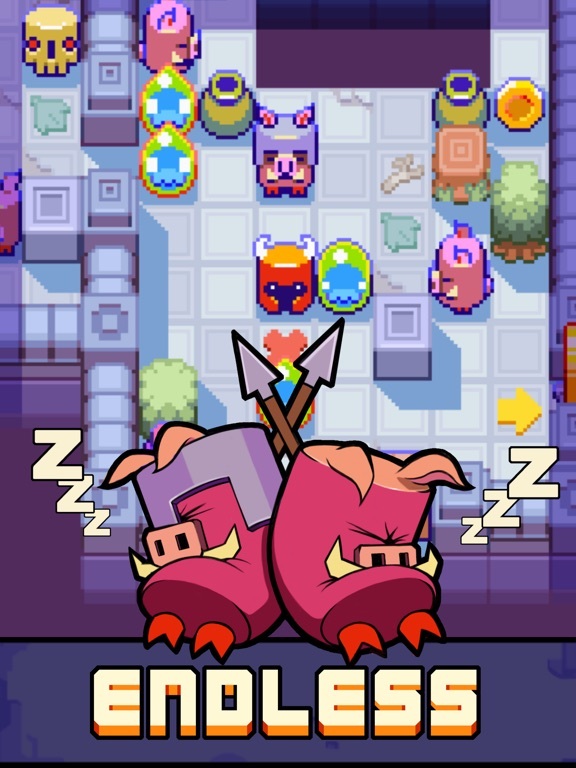 Thanks Nitrome for your dedicated works and fun games.